It seems that every so often a news story will crop up with photos of an animal born with two heads, that unfortunately died a day later. However, a buffalo has given birth to a two-headed calf on a farm in Pakistan, which many believe is a 'miracle'. 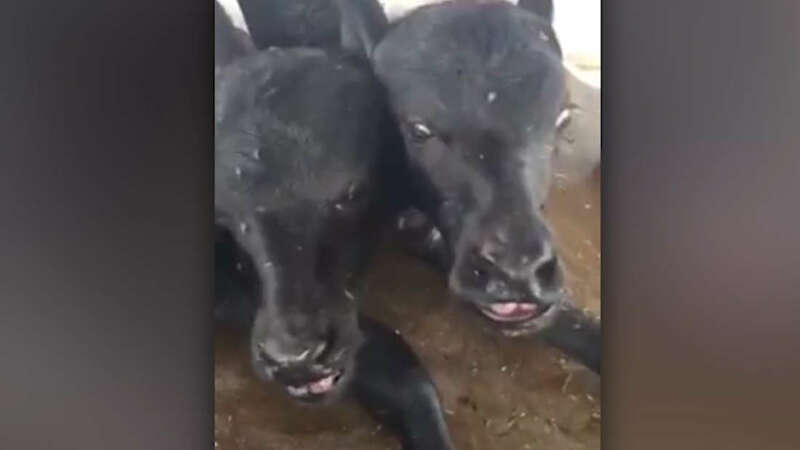 Although the calf has one body, he has two heads with a total of four eyes, two mouths, two noses and four ears, as the result of a rare condition called 'polycephaly'. The best part? He's already beating the odds and surviving long past his life expectancy. While he's still too weak to properly stand, he's being taken care of and bottle fed in order to build his strength. Take a look at the footage below, and at some other examples of polycephaly in the animal kingdom.